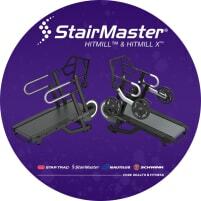 StairMaster HIIT OFFER! - Buy 5 new machines - pay only 4! 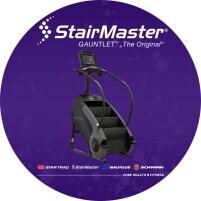 StairMaster 8 Gauntlet new in original packaging! The company StairMaster produces gym equipment of high quality which has been very popular and hated at the same time among the users for decades: the machines are constructed to demand high strain from the athletes, but as well to gain excellent training results. The company sells gym equipment that imitates muscle strains during stair climbing and is equipped with the latest models of touch screens. 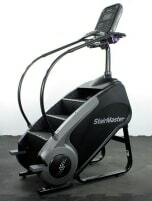 StairMaster gym equipment in used and new condition is available in many different versions and with several equipment features on fitnessmarkt.com. 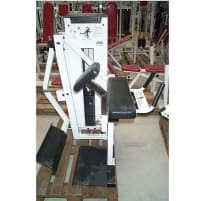 On this marketplace, training machines of many sellers like gym owners, retailers or individual persons are offered, so interested buyers have a large range of products to choose from. The sellers can be contacted using the contact form or the stated contact information, so there is nothing to get in the way of the buying decision. 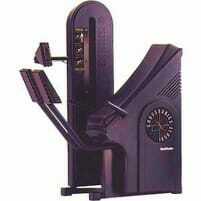 To sell a new or used StairMaster gym machine, fitnessmarkt.com is exactly the right platform: Here you can find the suitable target group for your equipment and reach a large number of potential customers within short time. 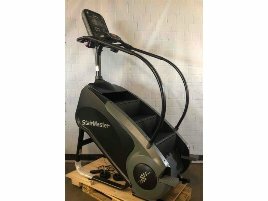 Due to the better visibility of the advert for your new or used StairMaster gym machine, the chance to sell your article quickly are increasing enormously. If you open a new gym or wellness center, it is possible that you can’t buy all needed new or used StairMaster gym equipment at once. 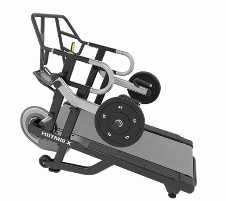 In this case there are some providers for leasing and financing of fitness equipment that can support you with purchase and financial planning. If you would like to have your gym equipment maintained or repaired, you can also find suitable providers on fitnessmarkt.com: repair & maintenance. 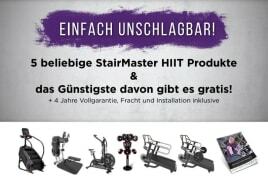 We wish you good luck for selling your new or used StairMaster gym equipment or for looking for a suitable training machine!